Yesterday, Google announced that verified business owners can reply to reviews left on their Google Places (Maps) pages. 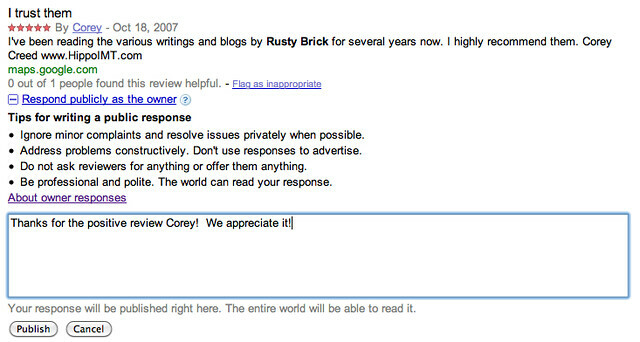 Google of course set up some ground rules and provided instructions on how to reply to reviews. Like me, I bet most people won't read them fully before replying. As you can see, you can always edit or delete your response.